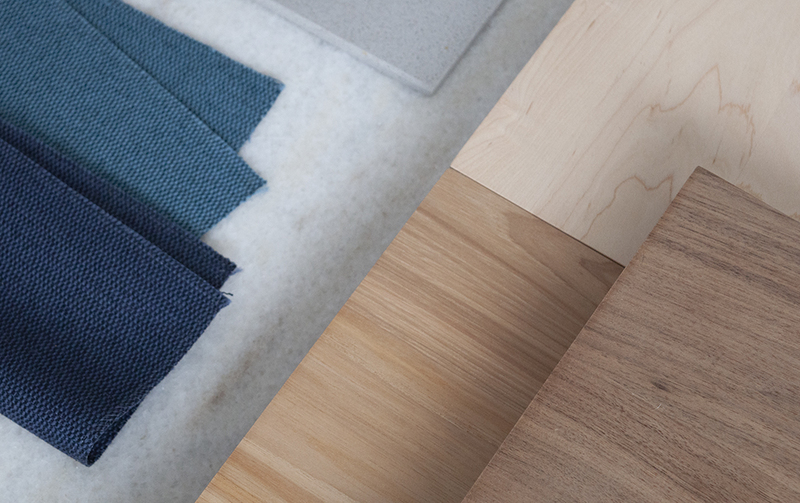 Durable finishes with a warm aesthetic create engaging experiences. With seamless integration, make power and data easy to use. Choose from any material to express your brand and purpose. 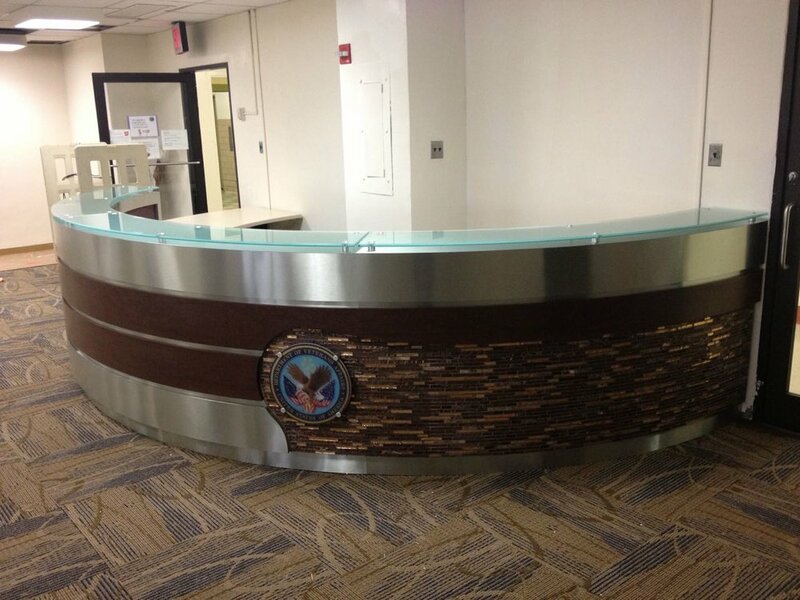 Create the perfect reception area with custom surrounds, surfaces, transaction tops, and screens in any material. A unique combination of finishes, the Manhattan VA received a reception that blended curved stainless with laminate accents and flexible tile, topped off with glass transaction tops on standoffs. Printed acrylic signage effectively branded the station and simultaneously enhanced the aesthetic of the desk. The focal point of their entrance area, this desk provided a continuous facade of modern finishes.